This marks our first post chronicling our trip to Vietnam! Since many of the foods we ate were from tiny hole in the wall places and street food vendors, we shall do posts by city featuring highlights. 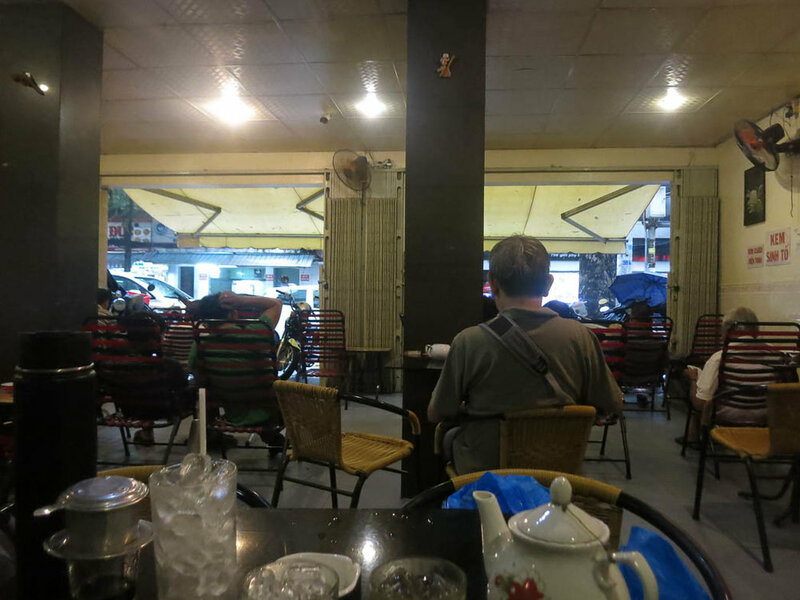 Saigon was our culture/weather shock city -cough-humidity-cough-. We arrived quite late at night, so we didn’t start our foodie adventure till the next jet-lagged day. With a basic breakfast at the hotel and a day trip out to see a Viet Cong site, we didn’t get to sample Saigon’s fair till that afternoon. But it was definitely worth the wait! Natalia (Viet Coffee): This was my staple drink in Vietnam. I probably spent more money buying coffee than on actual food and alcohol in all honesty. It started pouring rain during our afternoon city stroll, and even though we busted out our respective ponchos, we were wet and miserable. So finding a little cafe with iced coffee and fans was a godsend! Debra (Pork Over Rice): I chose to have a broken rice plate as my first meal in Vietnam (known as cơm tấm). We were hungry, and we passed several spots before finding this specific one on the corner. I just have never been so sweaty and gross in my life till this moment in Saigon (humidity + the warm rain + wearing the poncho = downpour of sweat). The grilled pork had such a good flavor! I really enjoyed the charred taste, and the fact that it came with all these veggies and rice (along with that fish sauce) made it a comforting meal. Natalia (Fish Phở): The first thing I wanted to eat in Vietnam was obviously phở, and I made it happen! This particular restaurant that we went to made a good seafood broth. I got fish since, you know, we were so close to the ocean (it made sense to me, doesn’t have to make sense to you!). The fish was poached perfectly, tender yet still holding its shape. The noodles were the usual plain rice noodles, nothing exciting there. Sweet Rice: We shared a serving of the orange sweet rice and we both agreed it was not for us. Topped with sweet condensed milk and shredded coconut, it made for an unique combination of flavours. I’m still glad that we tried it, maybe it would have been better with a different flavour of rice...Regardless neither of us enjoyed it and didn’t try it again -shrug-. Side Note from Debra: I heavily dislike coconut and sweet sticky rice, but thought to give it a try anyways. NOPE, still didn’t like it and won’t ever eat it. Second side note from Debra: All pictures in this Vietnam series were taken with a simple point and shoot. I really wanted to focus on experiencing the trip and not lug a heavy camera around everywhere (especially in the high humidity).